Over the last ten years Macduff Ship Design has put much effort into specialising in the design of small workboats and harbour vessels, a move driven partly by a wish to broaden the company’s reach, and also as there had been a relatively quiet period within its original core business of the UK fishing and aquaculture sector. But recent years has seen a resurgence in the interest in newbuilds within the fishing and aquaculture sectors. Originally conceived to work with the UK fishing fleet, over the past 25 years and despite diversification, this has remained one of the core areas of Macduff Ship Design’s business, leading to the company’s extensive knowledge in the development of UK fishing and aquaculture sectors. The resurgence in the fishing sector both in the UK and worldwide has led to significant newbuild interest. 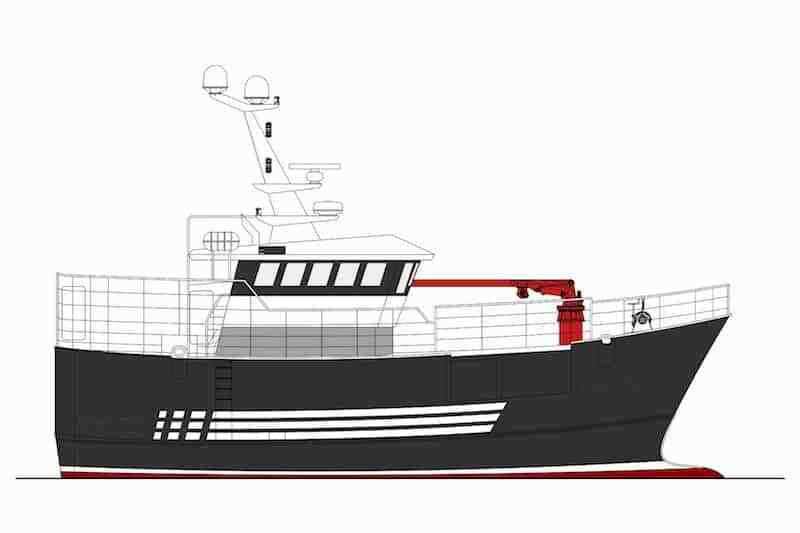 Recently Macduff Ship Design has been contracted for a number of new and concept designs in both the fishing and aquaculture sectors, from owners and shipyards both locally in the UK and further afield in Ireland, France, Norway, Australia, New Zealand, Canada and South Africa as well as several Mediterranean countries. This increased interest has culminated in a wave of newbuild orders being placed in recent months. The company is currently working closely with two UK owners on the design of a series of three 19 metre vivier crabbers which have been ordered for delivery later this year from Ship Building Asia (SBA), and constructed in Vietnam. These projects follow on from the successful build of a new multi-role fishing vessel currently being completed for Canadian owners by the same shipyard. At the same time as this contract being finalised Macduff has also been awarded the design for a further two 15 metre vivier crabbers for Irish owners, again being built with SBA. Macduff Ship Design has also been working closely with Macduff Shipyards on the development of several new design projects. 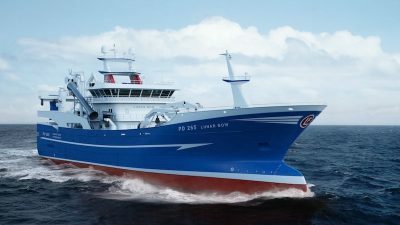 The past year has seen the deliveries of a number of new fishing vessels from 15 to R03;26.50 metres, and current production sees new building continue for a 19 metre scalloper, 26.50 and 24.50 metre trawlers, a 15 metre vivier crabber and 34 metre stern trawler. Alongside this new design work Macduff is actively in discussion with a number of other yards and owners and hope that this will lead to further new build vessels starting later this year. Over this same period of time as this development of multiple new fishing vessels Macduff ship Design has been working closely with a number of clients within the aquaculture sector on new projects. 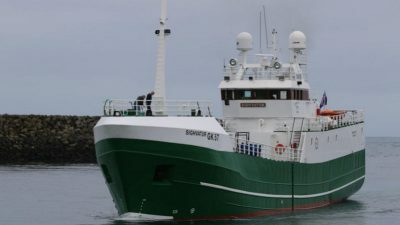 The company has been involved in the development of a wide range of vessels in this sector over recent years for the local Scottish salmon farming industry, and with new regulation and expansion of this sector there is a keen demand for Macduff’s expertise in the development of new vessels to meet this demand. Following a long and fruitful relationship, Macduff is working again with Inverlussa Marine Services in the development of two new workboats for the aquaculture sector. 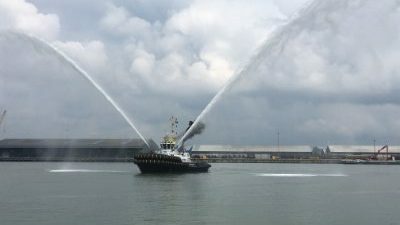 The vessels, a 21 metre landing craft style workboat for general duties and a 26.25 metre LOA, under 24 metre registered, workboat-coded vessel for salmon treatment work are to be built in Scotland at Ferguson Marine. Alongside the development of these vessels, work has also been in progress with Ship Building Asia and Canadian owners on the development of an under 500gt, 37 metre harvest vessel with capacity for six 50 cubic metre RSW tanks for fish harvest and transport. This vessel has been ordered through SBA, building in Vietnam. A contract has also been awarded for the supply of steel cutting data for a repeat build a 14 metre catamaran workboat to be built by Macduff Shipyards. ‘We are delighted to be heading into 2019 with such an exciting and diverse order book and look forward to working with the owners and shipyards involved in these projects and completing many more projects in the coming years,’ a spokesman for Macduff Ship design said.